The increased focus on safety in sports has made the use of a mouth guard absolutely essential. To fully get all the benefits from wearing a mouth guard, it has to be well fit inside the mouth. So how to fit your mouth guard in the proper way? Fitting a mouth guard is not a very difficult job, but you will need certain materials at your disposal before you begin. Make sure that you have a mouth guard from a reputable company, 2 bowls that are able to submerge the mouth guard completely, a pair of sharp scissors that will be used to resize the mouth guard, water and a towel. Once you have all these prepared, begin the process of fitting of your mouth guard. Take the mouth guard and try it on to see how it feels. If the mouth guard is too long, then it will irritate the back of your throat or cause you to gag on it. 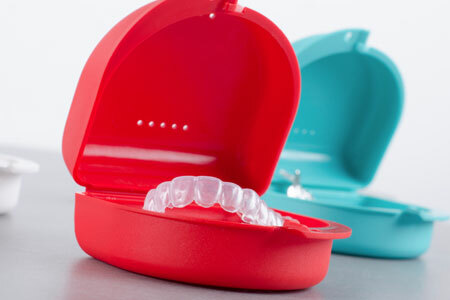 The main purpose of the mouth guard is to protect your front teeth which are weaker and more likely to get damaged. The mouth guard does not have to extend all the way back to the second molar. There is a lot of wiggle room here with the length. If the mouth guard does not seem comfortable, trim it from the back ends to make it shorter until it does seat comfortably in your mouth. Most athletes find that a mouth guard extending till half of their first molar is comfortable enough to use. How to fit a mouth guard? Here is the most important step. Put some water in a bowl or saucer to make sure the water is enough to submerge the mouth guard completely, and then get it to a boil. Once the water is boiling, place the mouth guard inside to soften it. You can either hold it using a strap while it sits inside the boiling water, or let it submerge completely and then retrieve it later with a spoon. The mouth guard should be placed inside the water for around 30-60 seconds to soften sufficiently. If you are wearing braces or other dental appliances then soften it for only 30 seconds. Take the mouth guard carefully out from the boiling water, gently wipe it with the towel to remove any excess water and then put it inside your mouth. Don’t worry about it being uncomfortably hot since it won’t be. Once you have placed the mouth guard against your teeth, you will want to press down hard so that the impression of your teeth can form on it. Apply pressure with your front lip as well to get the impression of the front teeth and use your tongue to apply pressure on the palate as well. This should be done for around 15-20 seconds. The key here is to make all of these movements quickly and only once. Take the mouth guard out of your mouth and dunk it into the ice water. This is the last steo of the answer to "How to fit a mouth guard". It will allow the mouth guard to stiffen up in the shape you have just adjusted and thus be uniquely suited to your teeth. Once the mouth guard has been submerged in the ice water for 30 seconds, take it out and insert it back into your mouth. It should stay in position without any additional pressure required. If you feel that the fit is still not right, then repeat the entire process from the beginning. You may have seen a lot of athletes chew gum or even their mouth guard during games but that is not the right way to go about it. Chewing on your mouth guard will damage it and subject it to nicks, cuts, and tears. This means that it will not be in optimum shape to absorb a blow and protect your teeth from damage. Chewing on the guard will also damage the fit. This may seem obvious but now that you have learned how to fit a mouth guard, wear it during games. Like any other piece of protective equipment, a mouth guard has to be taken care of and even changed after a certain amount of time. Remember that the mouth guard should be tight enough to stay in place on your top teeth without being dislodged by itself. Ideally, the mouth guard should be tight enough so that it can only be removed by being pulled with your fingers. A mouth guard, be it any kind, should never be subjected to excessive heat. The material used to make a mouth guard will distort when it is exposed to high temperatures. Store your mouth guard in a cool and dry place so that its fit does not become compromised. Do not leave your mouth guard in the car or lie outside in the hot sun since that can heat up. Always place it in its container and keep it in a cool, dry place.